In most countries, forests are considered to be one of the most mismanaged resources. They are undervalued, undermined and seriously lack uncoordinated policies that could, if managed properly, create huge potential for economic development. As the world’s population is expected to reach nine billion by 2050, forests can play a critical role in meeting the demands for fuel, food, fibre, shelter and other bio-products. Furthermore, this sector is also an important source for job creation, particularly in poverty alleviation where there are limited economic alternatives in the rural areas. Sri Lanka is endowed with natural forests, with a forest cover of 29.7%, which is almost two million hectares of land area. Fifty five percent of the country’s forest lands fall under the purview of the Forest Department while the balance forest area is primarily managed by the Department of Wildlife Conservation with an exception of very small extents of isolated forest patches under the purview of other state agencies and private ownership. On 21 March, Sri Lanka observed the United Nations International Day of Forests at an event organised by the Ministry of Mahaweli Development and Environment, together with the Forest Department. The topic of the day’s discussion was Forests and Energy, a theme selected by the Food and Agriculture Organization (FAO) for 2017. Speaking at this event, Department of Forestry Conservation Conservator Anura Sathurusinghe said that one of the main uses of sustainable forests is for the cultivation of fuelwood or biomass energy, which in turn has the capacity to power economic development. Wood energy can make a worthwhile contribution to economic growth at all levels of development, in environmentally sound ways that also create ‘green’ job opportunities, clean enterprises and improve living standards in rural areas. Alternative, renewable sources of energy will, in the long run, have to be developed, even in relatively wealthy parts of the world. Policies, financial mechanisms and regulations that serve this need already apply in many countries, overturning the conventional economics of commodity supply and demand. Therefore, wood energy can make a worthwhile contribution to economic growth at all levels of development, in environmentally sound ways that also improve living conditions and standards in rural areas. In fact, wood energy development is recognised in the Tropical Forestry Action Programme (TFAP), and other international policy perspectives on forestry development, as one of the most open fields for new thinking on national strategic planning and the setting of priorities for further development investment in forests. As pressure on forest resources increases, plantation forestry grows in importance as a source of woodfuels, likely to be increasingly destined for commercial sale as management becomes more organised and overheads multiply. Almost 900 million people, mostly in developing countries, are engaged in the wood-energy sector on a part- or full-time basis. That is over 11.8% of the world’s population. In Sri Lanka, biomass accounts for 43% of primary energy, as most households and industries depend on wood fuel for energy. Unfortunately, much of this is inefficiently used in low-tech, conventional systems that cause pollution and wastage of valuable resources. Modernising the wood energy sector can help revitalise rural economies and stimulate enterprise development – greater investment in wood energy production and advanced wood fuels can provide revenue to finance better forest management, more growing forests and more jobs. Increased areas of sustainable household and community woodlots and the use of clean and efficient wood stoves can give millions more people in developing countries access to cheap, reliable and renewable energy. The Ministry of Power and Renewable Energy, supported by the FAO and UNDP, is spearheading “Promoting Sustainable Biomass Energy”, a project by the Global Environmental Facility. This five-year project works across the fuelwood value chain, tackling barriers for the wider adoption of modern biomass technologies from systematic growing of fuelwood species to mechanised harvesting and pre-processing, transport and storage to the efficient se for industrial processes. Additionally, this initiative supports the conservation of existing forests and meets the wood energy demand for industries. Supporting this need, a survey conducted by this project has shown that the biomass availability in home-gardens, plantations, farms and agro-forestry systems is much higher that has been estimated. For example, Matara district can yield around 225,000 tonnes p.a. mainly from tea and cinnamon plantations, Kurunegala district yields around 370,000 tonnes p.a. largely from coconut plantations and home gardens. Gampaha, which has the highest demand for industrial fuelwood can yield only 142,000 tonnes p.a. 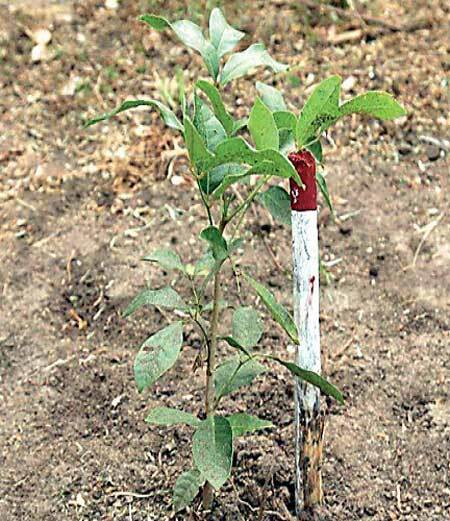 due to the non-availability of plantations and smaller home gardens. Power and Renewable Energy Secretary Dr. Suren Batagoda said that despite fuelwood powering over 45% of Sri Lanka’s energy source, it is still considered the ‘poor man’s fuel’. Fossil fuel and coal (referred to as rich man’s fuel) amounts to less than 30% of the country’s energy sources. “It is time we moved away from such thinking and embraced renewable energy sources such as biomass. We have the challenge of popularising biomass collection ‘terminals’ as a modern convenience, similar to petrol sheds,” he averred. To mitigate deforestation and to propagate cultivation of fuelwood, Sri Lanka has already undertaken the increase of renewable resources for the production of energy, especially fuelwood, which is consumed in large quantities by households and industries. While a large proportion of this wood already comes from sustainable sources, some of it comes from unacceptable sources such as natural (sometimes protected) forests and/or are harvested in a non-sustainable manner. Therefore, with the long-term objective of increasing the use of wood for bioenergy in Sri Lanka by 2020, stakeholders have identified the need for standardisation that would prevent the mismanagement between sustainable and unsustainable sources of fuelwood. The objective is that large users of fuelwood (for example tea, rubber, textile industries and the energy sector) would require their fuelwood suppliers to demonstrate the sustainability of their sources by achieving this certification. The FAO and the UNDP, in collaboration with the Sri Lanka Sustainable Energy Authority, commissioned the Sri Lanka Standards Institute (SLSI) to come up with a proper standard with the help of a Technical Advisory Committee. Stakeholders such as the Central Environmental Authority, Forest Department, Ministry of Plantation Industries, universities, environmental NGOs, fuelwood users (industry), fuelwood producers (plantation owners), other key ministry representatives and research institutes have been involved in this committee and worked for over 12 months with the FAO and the support of an international expert to collaborate on a sustainable fuelwood standard. On 10 November 2016, the Sectorial Committee on Materials, Mechanical Systems and Manufacturing Engineering, approved the standard and SLSI is now available for fuelwood producers themselves to adopt and implement. Accredited certification bodies will perform the audits and deliver sustainability certificates to producers who meet the standards. Annual audits will be conducted to ensure continued compliance. It is expected that these certified fuelwood producers will be the preferred fuelwood suppliers of medium to large scale industrials in Sri Lanka. The concept of sustainability certification requires producers to demonstrate not only sustained yield, but also social and environmental leadership. The sustainable fuelwood standard is formulated so that it can be implemented by a very wide range of producers, from small scale producers (farmers) organised into groups, to large industrial plantations. 5.A basic chain of custody to provide assurance to buyers of fuelwood that the wood they are purchasing is indeed certified. Biomass availability, especially the availability of woody biomass for fuel is a concern raised by many end users including the domestic sector and the industry. Interest in sustainable production and supply of biomass has escalated recently with the interest of promoting biomass as a renewable source with multiple prospects. 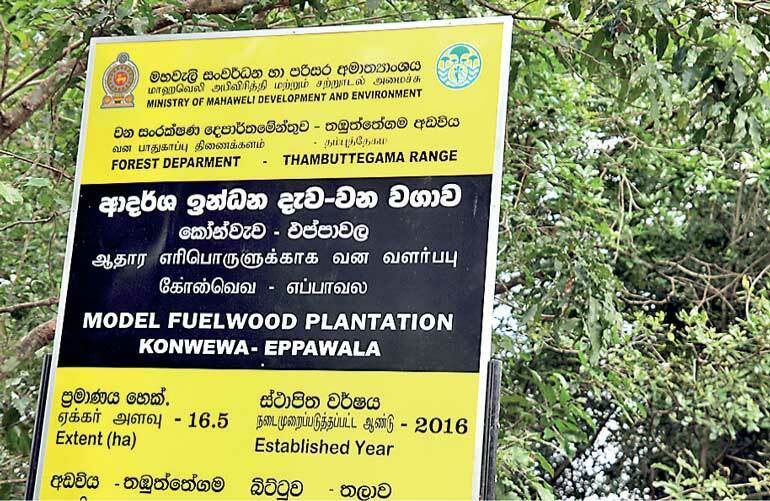 In January of this year, Minister of Power and Renewable Energy Ranjith Siyambalapitiya officially declared open a Model Fuelwood Plantation in Konwewa Eppawela. This project is spearheaded by the Ministry of Mahaweli Development and Environment under the project ‘Promoting of Sustainable Biomass Energy Production and Modern Bio-Energy Technologies’ to facilitate a sustainable fuelwood supply for industrial and home use. The goal of the project is the reduction of greenhouse gas emissions from the use of fossil fuel for thermal energy generation in Sri Lanka’s industrial sector, whereas the objective is the removal of barriers to the realisation of sustainable biomass plantation, increase of market share of biomass energy generation mix and adoption of biomass-based energy technologies in Sri Lanka. The Sri Lanka Sustainable Energy Authority (SLSEA) is implementing four components of the project with the technical and financial support of UNDP and FAO: 1) policy institutional support for effective fuel switching using fuel wood, 2) barrier removal for sustainable fuel wood production, 3) enabling environment for fuel wood suppliers, and 4) wood based energy technology development under the said project. In Kurunegala, a pilot fuelwood collection terminal is slated to open under a FAO UNDP funded private partnership. This terminal will enable suppliers and end-users to access fuelwood under strict guidelines, maintain regulations and follow ethical practices.